The 'Mjaft' Movement released today a study that concludes that the Albanian government deteriorated with three points in terms of transparency compared to previous years. The study says that the institutional opening of the Albanian government is close to the average of other countries in the region, but this is not at a satisfactory level in relation to the required international standards. "There is no information on the government's state budget transparency on the official Albanian government website. There are no initial budget tables, intermediate budget expenditures reports, public debt situation, and annual fact sheet expenditures compared to planned estimates," said Aldo Merkoçi, MJAFT Movement Director. It was also noted that there is no document certifying the timely deposit by the Prime Minister of the annual draft budget of the parliamentary administration, which is set three months before the start of discussions in parliamentary committees. Albania ranks fourth among the seven Balkan countries after Macedonia, Montenegro, Serbia, leaving only Bosnia and Kosovo behind. 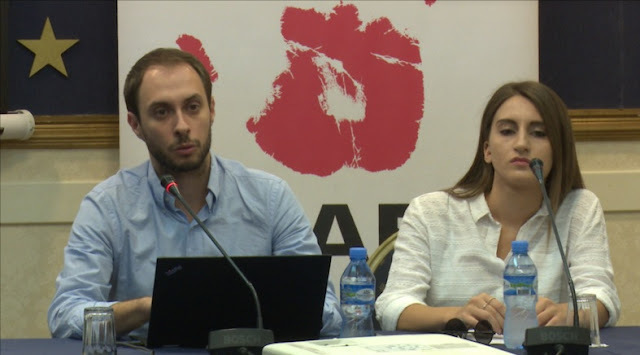 The Albanian government has met only 40 percent of the transparency indicators, the study says, while issues of conflict of interest, code of ethics, lobbying, budget transparency and public procurements appear in a low rating. On the PM site there is a lack of information on procurement, procedures, contracts, large value procurements, factual procurement compared to the public procurement projections register. The report says that the government marks the 0 figure of institutional opening as far as activities related to state money. In addition to transparency, integrity has also declined, as the government does not lobby legally and does not publish any anticorruption strategy, the study said. The level of transparency and opening up of institutions is also low in the local government. According to the observations of the Institute for Democracy and Mediation (IDM), "public participation in municipal decision-making is low and they are not transparent, leaving room for corruption. Studies noted that civil society organizations have increased the pressure on the administration for transparency towards citizens and good governance, but there is still much to fight corruption that is hidden behind the closure of documents.